This, written two years ago, still today provides vivid memories of the inaugural visit I made with Victoria Ward of Sparknow, Alim Khan and Archana Shah of the World Health Orgnisation (WHO) to Darfur. 1 | Of laughter and teamwork – the A team and the Super team – and the competitive spirit that emerges when you try and interview close to 100 people in 8 days in 3 locations; from the floor of a lounge; to the meeting room at HQ; to the Ministers office; to a small office in Darfur. 2 | Of the people who work in this industry and whether there are stereotypes? For some its getting the sand between their toes and the dust in their hair, for others its the smell of the earth after the rain has fallen. Its the battling against all the elements and the unceasing struggle to help the population survive. 3 | Of the security which is insidious and necessary. 4 | Of being inside a UN bubble which puts a cloak (and a barrier) around all its workers such that they become both the solution and the problem. 5 | Of feeling much more comfortable in primitive conditions rather than the opulence which is the Burj el Fateh and feels so out of keeping with the rest of the environment. 6 | Of the ubiquitous donkey without whom this society would not survive. 7 | Of goats which were far more prevalent in Fashar than Nyala and obviously Khartoum. 8 | Of the many moving stories we’ve heard and the metaphors and images many of which only emerged after much gnashing of teeth, more kind of an abrupt halt, because it’s so long since these people, so busy getting things to happen, have had a chance back to stand back ad look at the larger picture. 9 | Of the need for silence in interviews and also of creating the right atmosphere and space to encourage discourse and finally. 10 | Of feeling overwhelmed by the magnitude of the Darfur crisis and unable to see a clear answer to these questions – the what next? What will the impact be when the aid providers actually departs? Who will pay the Doctors, Midwives, Hospital staff? Who will provide the maintenance, medicines and facilities without which all the billions already committed will be waited? Without infrastructure such as roads, rail and most importantly water production facilities the outlook for the Internally Displaced Persons (IDP’s) will be challenging. knowledge management I an old wine in a new bottle? I was back in Khartoum for a couple of days at the end of March at the invitation of the Sudan Engineering Society and University of Khartoum. They’d asked me to talk about knowledge management, research into the evolving role of the ‘knowledge manager’ and the implications for Sudan. Apart from the honour of addressing 150 or so engineers, acadamics and ministers on Wednesday at the National Telecomunications Center, my presentation at the Faculty of Mathematical Science on Thursday was made at the end of the working day (so at the start of the Sudanese weekend) to a crowd of nearly 200 including families. 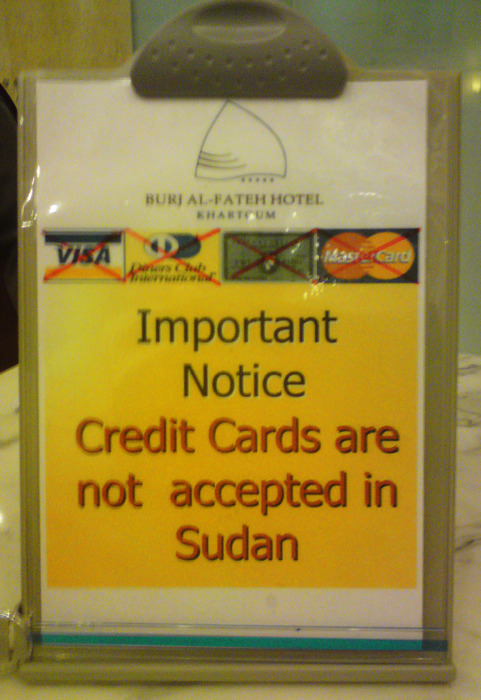 It brought home to me how keen the Sudanese people are to learn and exchange ideas especially since the Campus had only just reopened after a period of unrest. Knowledge management as a formal discipline is in its infancy in Sudan. There are pockets of good practice albeit under different labels and many companies are following the well trodden path of focusing on technology such as an intranet as a way of storing ‘stuff’. It’s not easy though operating in an environment which restricts access to software updates as an example. That said there is a groundswell of interest led by Dr Gada Kadoda who is mobilising a group calling itself the Sudanese Knowledge Society who are about to meet formally for the first time. 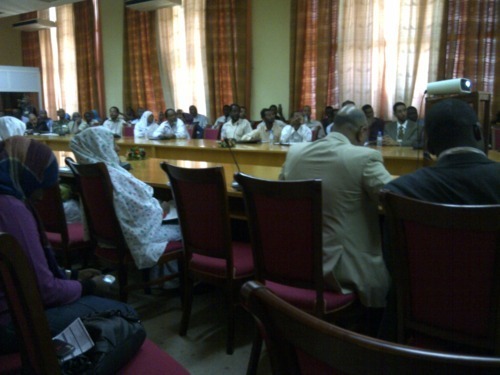 The Khartoum presentations prompted an interesting exchange with one of the participants who attended both. Here with his permission is an extract. Dear Mustafa thank you for your kind words and the background. The inescapable conclusion of this analysis of the ‘knowledge management’ idea is that it is, in large part, a management fad, promulgated mainly by certain consultancy companies, and the probability is that it will fade away like previous fads. It rests on two foundations: the management of information where a large part of the fad exists (and where the ‘search and replace marketing’ phenomenon is found), and the effective management of work practices. However, these latter practices are predicated upon a Utopian idea of organizational culture in which the benefits of information exchange are shared by all, where individuals are given autonomy in the development of their expertise, and where ‘communities’ within the organization can determine how that expertise will be used. Yet today as our research has indicated people and organisations are organising themselves to make better use of what they know and if knowledge management is a convenient label to achieve that then who are we to complain. Quality Circle vs Community of Practice: Yes and no would be my response. However for me the concept of a quality circle is much more around a particular incident (yes that was highlighted in the clip) but the idea of a Community of Practice is that it represents an ongoing and dynamic resource. The bigger point here I think is that the engineers were able to post something onto the platform used to run the CoP and locate people who’d had the same experience. As to BPR and the other management ‘fads’ I would say there is a difference. I see km as a horizontal thread running across the organisation; its a way of doing if you like a common sense approach to improving the sharing of what people and organisations know. BPR et al gave no consideration to the transfer of know how from experts about to depart or how to bring people who’ve just arrived in the business up to speed as quickly as possible. 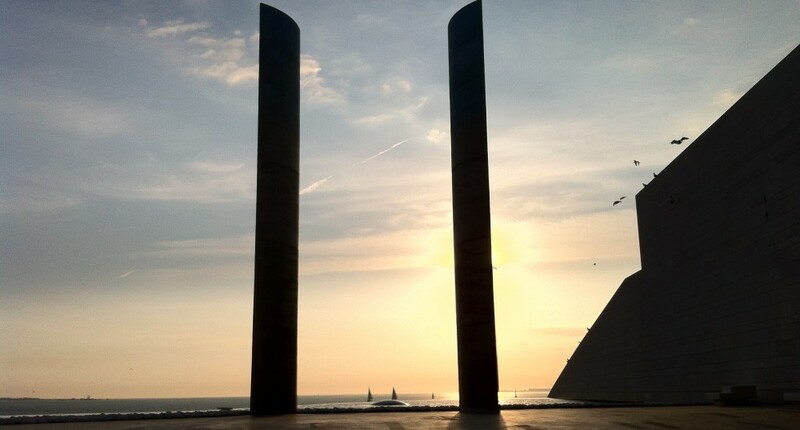 Where km falls down is that it is often put into a corporate siding – the place where communications, marketing and HR don’t want to tread and as a result does not have the institutional clout that more established disciplines have. km has been written off many times and yet as research into the evolving role of the ‘knowledge manager’ has uncovered there are still a large number of people engaged in km type activity. Even with km in their job title (and many still don’t) they are having significant impact and reach across their organizations. In 2010, ADB embarked on its most ambitious story-driven exercise yet. It launched the ADB Sustainable Development Timeline multimedia project, which currently hosts over 11 hours of sympathetic reminiscences and expertise rendered in video from 72 ADB staff. The material is broken down into 1–5 minute snippets covering a veritable plethora of topics, e.g., communities of practice, corporate governance, gender equity, forest conservation, knowledge management, renewable energy, sustainable infrastructure, etc. But, beyond these, the interactive platform also contains short documentaries of projects shot on location, sounds, B-roll footage, animations, graphics, voice-overs, videos, statistics, photo essays, etc. The product has been warmly received, both in and outside ADB, and augurs well for ready use in staff recruitment and induction, learning and development, conferences and other events, education, and external relations. I am looking forward to continuing this discussion when I am at the 5th International Knowledge Management and Organizational Learning Summit in Bogota in May. More on that in a later posting. 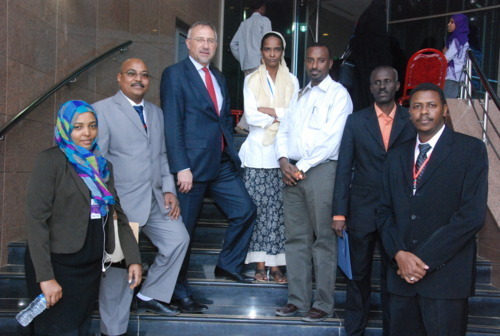 By a stroke of serendipity (a meeting with one of the speakers while he was in London) I went to Khartoum early in the New Year to participate in an event run by University of Khartoum styled “Knowledge Management Capacity in Africa”. It promised to be an interesting event since unlike a previous mission to Khartoum, Nyala and El Fashar I was to be based in one centre for the week. Also the list of practitioners and speakers is very heavily weighted in favour of the African continent and I was the sole European representative. An honour indeed! Missions are one of the key ways any development bank or agency can collect, disseminate and synthesize knowledge but the opportunities to do so are often overlooked or wasted. Most of the processes are focused on producing a report (back to the office report- BTOR), managing risks and making decisions yet every component can be adjusted and fine-tuned or used in more than one way. This presentation, based in part on a mission to Sudan conducted in 2010 by Sparknow working alongside the World Health Organisation (WHO), will examine a variety of mission collection methods and discuss how the ‘fire of the field’ can be brought back into an organization. Imagine you are a bank looking to set up a new Islamic finance operation targeted at the private sector in West Africa. There are few peer groups you can look to for advice; it’s by and large unchartered territory. What are your options? · identify others in your own institution that have core skills you might draw on. You actually do all the above but in addition you put in place a programme to ensure that you capture all the learning’s from this new venture; the nuances around operating ‘offshore’ from HQ; the peculiarities of the culture and the way things are done and; you create a missions guide and a mechanism for feeding back what you learn into your organisation. This charts Sparknow’s mission journey illustrated by some of the techniques we’ve found to be of value. Oh and this time I am going to remember to take nice new shiny dollar bills and not my credit card. Its 3.30am and I am sitting at Khartoum airport waiting for the flight back to Heathrow at the end of one of the most exacting yet rewarding weeks I’ve had in over 35 years of working across many continents. 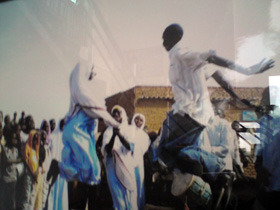 Sudan challenges you: its people are warm, inquistive with an insatiable desire to learn. And yet time management is a work in progress and the ubiquitous presence of officialdom and the ongoing sanctions a significant drain on effectiveness and enthusiasm. It’s 5.45pm on the first day of Knowledge Management Capacity in Africa 2012 conference held in the Friendship Hall Khartoum. This inaugural event on Knowledge Management which kicked off at 8am has attracted over 500 delegates and nearly 50 international participants though I am the sole European. The timing has gone awry by some distance. I get to my feet to begin my presentation entitled “missions and knowledge production” and having summoned water bottles and moved everyone around, ask the assembled throng in the Omduran Room what they want to do. By a unanimous show of hands they indicate a desire to continue and we ultimately finish at 7pm in time for a Knowledge Cafe. The audience listens attentively and I get a lot of positive feedback. At the Knowledge Cafe I lead a ‘table’ of young Sudanese women who are keeping up the pace. The session eventually ends at 8.30pm some 12 hours after the day began. It is an indication of things to come over the following two days (and nights). The Conference Chair Gada Kadoda, a woman of astonishing capacity and vision, has assembled an impressive array of speakers and presentations: from Washington to Malaysia via the UK with a big representation from Africa. I have two presentations to give and as it transpires to facilitate the closing conference session on Saturday morning before a caravan of minibuses sets off in search of the Sudanese Pyramids. Over the next week or so I will be drawing on some of the conversations and highlighting examples of knowledge at work in Africa; for now here are some high level thoughts after 3 days of the conference. Technology I the ongoing sanctions means that some of the essential foundations for a dynamic knowledge society are absent. Software and hardware are in plentiful supply but access to the latest upgrades are restricted and effective support is difficult to come by even though maintance is included in the original purchase. e-commerce is constrained by the lack of an effective payment platform such as PayPal which is restricted. While the new regulators can plan for a time when the situation returns to normality by setting up the distribution network now, it means they are unable to encourage the growth of an industry that would facilitate a faster move towards a knowledge based economy. To illustrate the importance of e-commerce, figures just released show that over 30% of all purchases over the holiday period in the US were conducted online. Communications I the size of Sudan makes the laying of cable impractical; cell phone usage represents a high percentage of the communications media and some 22 million people have mobile devices (over 2/3 of the population). Knowledge (and information) sharing I ‘my data is my soul’ is a phrase oft repeated. It illustrates more than any other the challenges organisations face in encouraging professionals to part with what they know. Knowledge Management I is a discipline that’s attracting interest yet their are a fair share of cynics especially among those who seek substantive method and measurement. A number of prominent organizations have initiatives in train and like the citiens of many developing countries certification programmes are highly sought after. The term remains a deterrent for some and Knowledge Sharing was more readily endorsed. Collaboration I group work is an accepted part of the culture and there is no reluctance to act as the spokesperson for the group or in expressing ideas and opinions. Most people have a Facebook account of sorts yet few have heard of TripAdvisor! Food I plays a huge role in lubricating tongues. But everyone sits down at the first opportunity which tends to restrict conversation to those in the immediate circle. Stories travel I in the past the travellers (or Bedouin) were the custodians of stories, today that role is being increasing filled by online connectivity which places an emphasis on effective means of collection, storage and dissemination. I had the pleasure of working alongside/talking to a number of Sudanese graduates and undergraduates a number of whom presented papers on Wednesday. Two in particular interested me: one was about a process of measuring the effectiveness of km in a private company; the other an annual attempt at knowledge transfer by the students to rural areas in which they’d identified and engaged with a local stakeholder who became their voice and ears. Perhaps though the highlight was interacting with so many people for whom the sharing of knowledge is critical for survival; where information that stays in someone’s head or laptop might save lives; where different techniques are needed to get the stakeholder buyin and ensure sustainability.